Planning This Year's Landscape and Garden? Planning your 2018 garden is delightful! Here are some brilliant ideas for free-light solar lights at home, cottage or office. Think solar. Think lower electricity bills. Think more light with free-light. 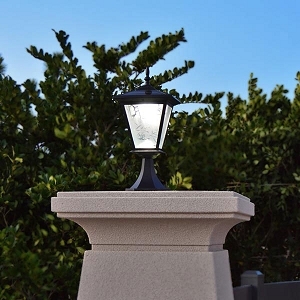 Ready to add some free light to your driveway, walkway, entrance pillars, brick columns and gate posts? Dress up your home with the sophisticated and stylish column mounted GALAXY Black. The light sensor automatically turns on at night. 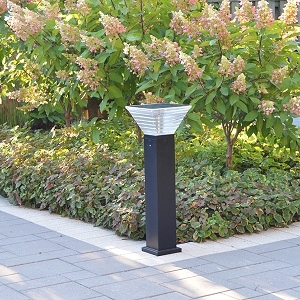 The base is under 7" so it can easily be mounted onto posts, pillars or columns as small as 8". Nobody does it better than free-light. Unpack, mount with two screws and press the power button. You're good to glow! 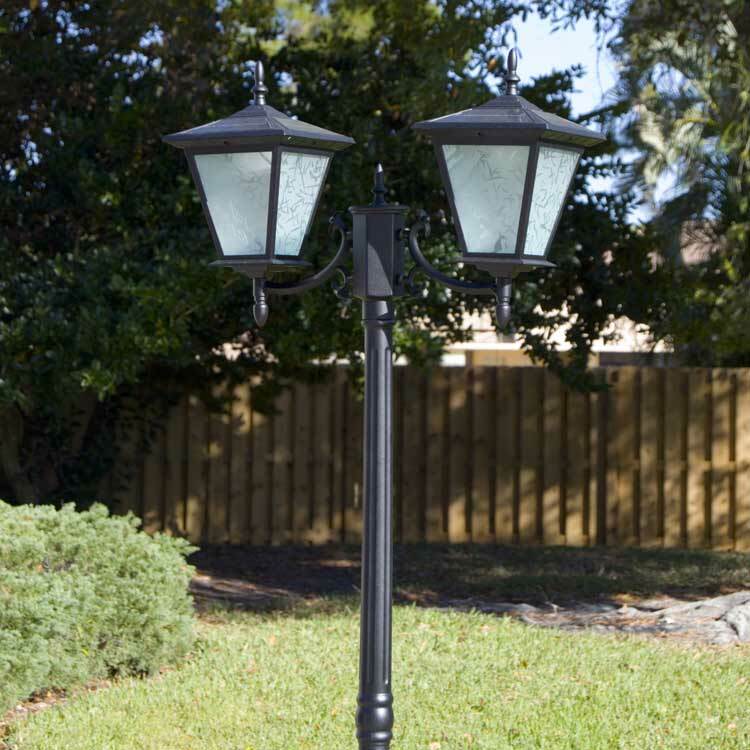 Learn more about GALAXY Black and other Column, Pillar and Post mounted solar lights designed to look great and save on electricity bills. Stair and Deck Solar Lights - NAVIGATOR White. Put an end to stubbed toes and sore arches! Easy to install - drill a 1.375" hole and drop in place. Let NAVIGATOR guide you along the deck, up the stairs, over to the hot tub, wherever you want more light at night - without wires. Packaged in 4, NAVIGATOR is made of weather resistant poly carbonate and features super-bright white LEDs for light exactly where you want it. Navigate to the NAVIGATOR page and order yours today. While you're there, see all the other clever Stair and Deck Solar Lights. Order yours today. 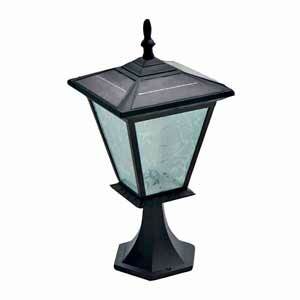 Courtyard Solar Lights - GALAXY Black 2-head. Long driveway? Dark driveway? Meandering courtyard? Try the GALAXY Courtyard 2-headed solar light. Its classic look is highlighted by the dual head design. This is a completely stand-alone solar fixture, standing 6'6" tall. Some assembly is required. Each of the solar light fixtures has an optional power switch for vacation mode. GALAXY Black 2-head turns on at night and stays on for up to 10 hours. It's the perfect choice for entrances, driveways and courtyards. Learn more about GALAXY and browse the other Courtyard Solar solutions from free-light. No wires... just add sun. Driveway Parking Solar Lights - RA20. Imagine over 40' of bright solar light all night long. It's yours with RA20. Dusk to dawn, RA20 is an all season solar light that stays at 30% brightness until motion is detected, then full brightness for 60 seconds. Light when you need it! The smart controller constantly monitors battery voltage and adjusts light output to extend battery life. Once the battery is low, the light will turn off, but will still come on when motion is detected to give you light when you need it most....even with a low battery. Learn more about RA20 and all the other Driveway Parking Solar Lights at free-light. Shop today. Garden Solar Lights - The Original ORB. We're clearing out ORB at ridiculously low prices while supplies last. 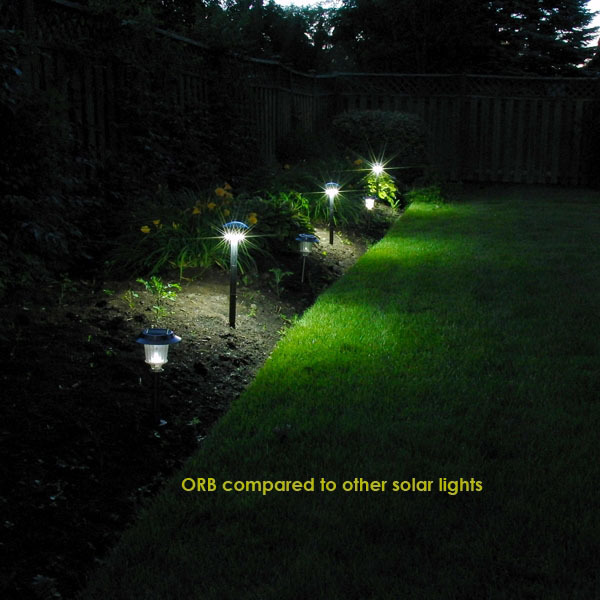 Packaged in 2s, ORB Solar Pathway Lights offer constant brightness with natural white light. The light is directed downward to focus on or feature what's below. Light up pathways, garden edges, planters, or use to highlight garden statuary like never before. ORB turns on automatically at night and off 6 hours later. The black impact resistant ABS body is weather resistant and incredibly durable. Each ORB is shipped with 3 sections of mounting post, 2 connectors and 1 spike. They can be placed at just the right height with ease. 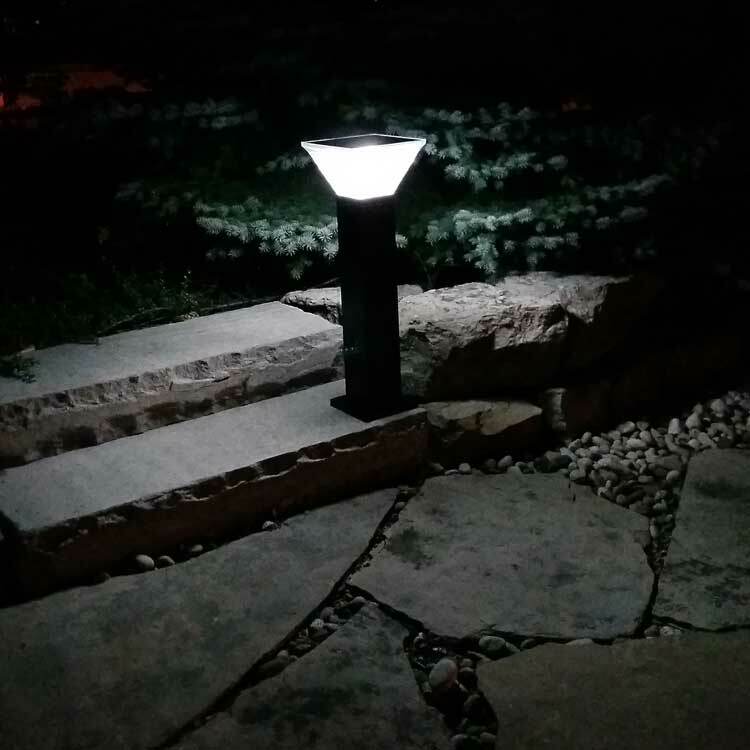 Order ORB today and take a moment to preview the other high quality Garden Pathway Solar Lights from free-light. Better get 'em whilst they're hot! Garden Deck Solar Lights - MILLENIA. 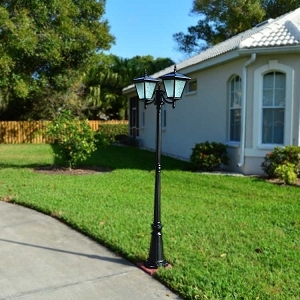 Broadcasts up to 30' of light from a single fixture and reaches an elegant .8M or 31.5" tall. 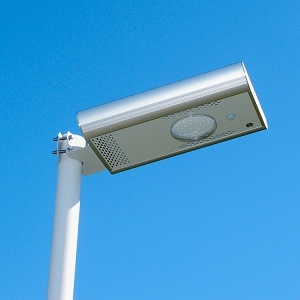 Sleek and stylish, MILLENIA provides consistent solar light turning on automatically at night and off 5 hours later. Constructed of weather resistant aluminum, combined with dependable free-light solar technology, MILLENIA is the perfect choice for decks, pathways, docks, garden walkways, stairs, terraces and more. That's the beauty of free-light. Check out our complete line of Garden Deck Solar Lights and highlight your night with free-light! Buy now!